We are happy to announce the return of the scrumptious summer BBQ served within the gorgeous Grade I listed Orangery building with views over the gardens. Relax and enjoy the expertly prepared British produce ahead of watching the concert from the exclusive Hospitality Enclosure. Your package includes: Your Ticket: Hospitality Enclosure Ticket* Your Exclusive Hospitality: Two Course elegant summer BBQ within the stunning Grade I listed Orangery Accompanied by half a bottle of wine per person, with a choice of Red or White. *The Hospitality Enclosure is a designated viewing area within The Reserved Enclosure, exclusively for The Orangery BBQ customers. 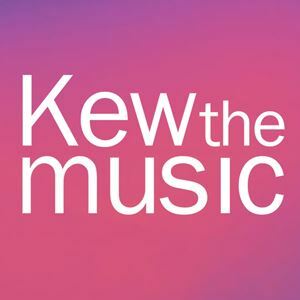 Kew the Music is a glorious week-long festival of summer picnic concerts set within the stunning and iconic grounds of the Royal Botanic Gardens, Kew. The 2018 concerts run between Tuesday 10 July – Sunday 15 July with a fantastic line up that offers something for everyone. A series of sensational summer evenings, with an eclectic mix of artists guaranteed to appeal to all generations of music lovers, the popular concerts make the perfect outing for the whole family to enjoy. Guests are welcome to bring their own food and drink, or to enjoy the open-air bars and tasty street food stalls. Free entry for children under 1 (no ticket required). Discount for children aged 1-15.